Abstract vector design with rays and various shapes. Starburst with perspective rays, swirling floral stems and hexagons with different sizes. Free vector graphics to create wallpapers, backgrounds, backdrop images, posters, flyers, brochures, greeting cards and clothing prints. 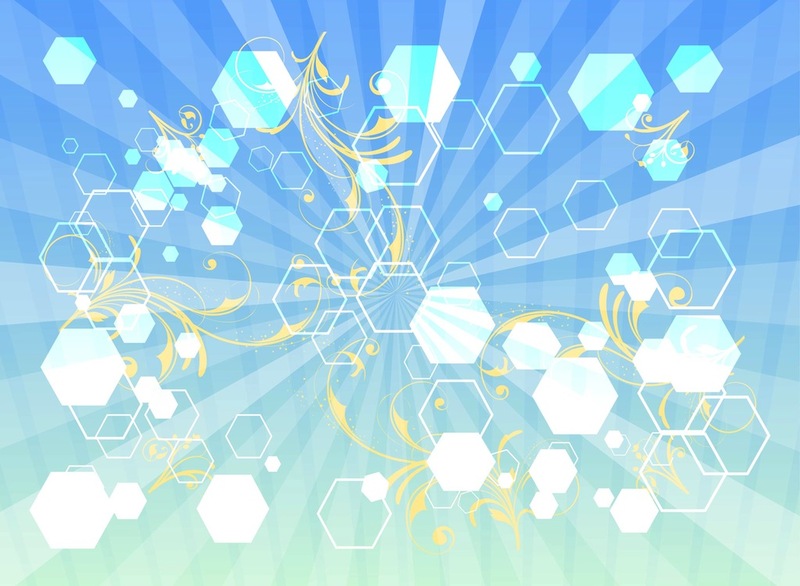 Tags: Abstract, Decorations, Flowers, Geometric Shapes, Hexagons, Rays.